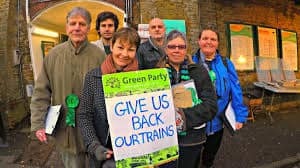 ‘Bring our railways back into public hands’ action day for Caroline Lucas MP. This Friday Caroline’s Railways Bill will go to its second reading in Parliament. The Bill calls for the railways to be brought back into public hands. The Bill is a clear marker for why we need to ensure Caroline is re-elected to Parliament, and with so much popular support for public ownership of the railways, now is the time to campaign, canvass, and show voters that Caroline is standing up for what they believe in. Not only has private rail failed to deliver efficient and quality service, but they have made soaring profits, which are siphoned off to shareholders leaving little for reinvestment into the railways themselves. And yet perhaps the largest scandal of all is that this is done whilst the private firms are propped up with taxpayers’ money. The government are allowing public money to be used for private gain. Caroline has worked tirelessly during her time in Parliament to raise the issue. 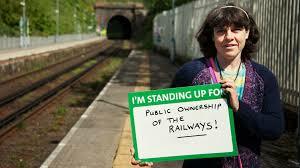 Her Railways Bill calls for an end to the exploitation of taxpayers and commuters by private rail. We need to stand with Caroline to fight for an end to this blatant profiteering, and fight for a rail system that is public, affordable and delivers quality service. Our action day is this Saturday 28th February provides an opportunity to get behind Caroline’s campaign for re-election. The day will start at 10am and go on till 4pm; everyone is welcome to do as much or as little of the day as they wish. Lunch will be provided. There will be conversation training, canvassing, shadow canvassing and stalls. So plenty to get involved in! 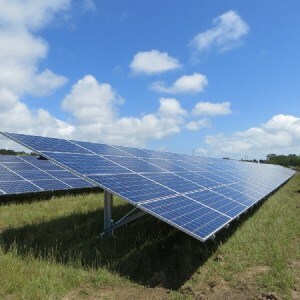 Please sign up to the action day here. Alex, Adam, Luke, Tom, Matt, and all of the team. PS Please forward this email on to like-minded friends. PPS If you would like to get involved in some other way, or at a different time, then please let me know.